The Appellate Authority held that, as the law now stands, Input Tax Credit is not available to CMS Info Systems Limited on purchase of motor vehicles i.e. cash carry vans, which are purchased and used for cash management business and supplied post usage as scrap. At the outset, we would like to make it clear that the provisions of both the CGST Act and the MGST Act are the same except for certain provisions. 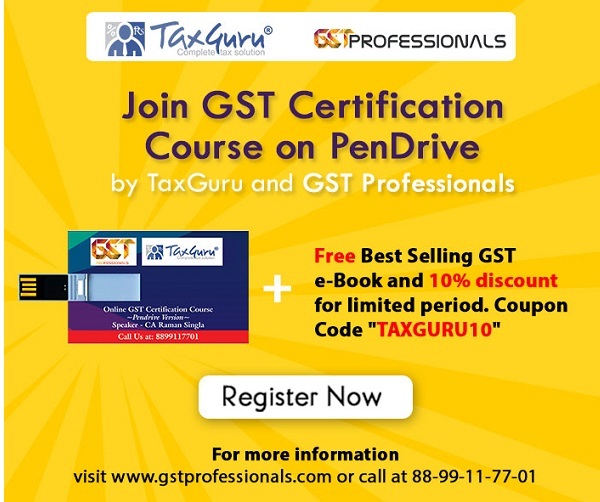 Therefore, unless a mention is specifically made to such dissimilar provisions, a reference to the CGST Act would also mean a reference to the same provisions under the MGST Act. Further, the CGST Act, 2017 and MGST Act, 2017, sometimes, shall also be referred as GST Act. M/s CMS Info Systems Limited (herein after referred to as the “Appellant”) had filed application for advance ruling under the provision of Section 97(1) of the CGST Act, 2017. However, the members of the Advance Ruling Authority differed in their opinion in deciding one of the two issues/questions raised by the applicant before them. Accordingly, the said issue, which remain undecided by the Authority for Advance Ruling, has been referred before this appellate authority under the provision of Section 98(5) of the CGST Act, 2017. Providing ATMs and installing the same at various locations across India. Managing cash circulation through transporting cash from currency chest to bank branches. Cash pick-up and delivery from and to dedicated banks. 2. Such transportation of cash is done through the security vans popularly known as “cash carry vans”. The appellant purchases raw motor vehicles and requisite fabrication, get them converted to cash carry vans. The appellant also pays GST on fabrication. For this purpose, the appellant purchases motor vehicle and pays GST. Credit of GST is not availed by the appellant presently. While purchasing Cash Carry Vans during pre-GST era, the appellant has paid the Central Excise Duty as well as Value added Tax. 3. When these vans cannot be used further, the appellant sells these motor vehicles as scrap. In certain cases, instead of purchasing motor vehicles, the appellant prefers to hire these motor vehicles. I. Whether supply of such motor vehicles as scrap after its usage can be treated as supply in the course or furtherance of business and whether such transaction would attract GST? If yes, please provide the rate of GST and/or Compensation Cess. II. If answer to Question I is in affirmative, whether Input Tax Credit is available to CMS Info Systems Limited on purchase of motor vehicles i.e. cash carry vans which are purchased, used for cash management business and supplied post usage as scrap. 5. Regarding the issue raised in the Question I of the application, it is held that supply of motor vehicles i.e. cash carry vans as scrap after its usage will be treated as supply in the course or furtherance of business in terms of the provision of Section 7 of the CGST Act, 2017 and such transaction would attract GST as the disposal of cash carrying van is a transaction in connection with or incidental to or ancillary to business in so much as the sale proceeds of such vans is treated as income and reflected in P&L Account, thereby marking such transaction as taxable supply attracting GST thereon. As regards, the rate of GST leviable on such supply, the applicant has not provided any invoice or has informed tariff heading of these goods. Further, it is also not clear whether after sale these would be usable as vehicles or would be fully scrapped. As the said goods do not appear in the Notification No. 2/2017 Central tax (Rate) which exempts the goods from the levy of GST, these taxable supply would be taxed at rates mentioned in the Notification No. 1/2017-Central Tax (Rate), which may be referred by the applicant accordingly. 6. Regarding the issue raised in the Question II of the application, wherein it was asked that if the sale of the cash carry van, as scrap after its usage, held a taxable supply, whether Input Tax Credit is available to CMS Info Systems Limited on purchase of such motor vehicles i.e. cash carry vans which are used for cash management business and supplied, post usage, as scrap, there was difference in opinion on this particular issue between two members of the Advance Ruling Authority. Therefore, the matter has been referred to the Appellate Authority for Advance Ruling for giving the appropriate ruling in this regard. 7. The Appellant submitted that they are lawfully eligible and entitled for input tax credit of the GST paid on standard motor vehicle and also GST paid on the fabrication of the vehicles to suit the need for cash carrying vehicle. 11. On careful consideration of the meaning assigned to the expression “money”, it would be clear that the Indian legal tender or any foreign currency, cheque, promissory note, bill of exchange, letter of credit draft, pay order, traveler cheque, money order, postal or electronic remittance or any other instrument recognized by the Reserve Bank of India, only when used as consideration to settle the obligation or exchange with Indian legal tender of another denomination would be considered as “money”. 12. In the instant case, the currency transported by the appellant is for the purpose of carrying out the business of maintaining ATMs by the Appellant and hence, the Appellant are not using the same as a consideration for settling of any obligation. The job assigned to the appellant is for the transportation of currency to the desired destination as per their customer banks and while carrying out the activity of transportation, the said currency is plain goods for the Appellants and cannot be used/ is not used in exchange of other Indian legal tender of another denomination. 14. It is once again re-iterated that currency/cash is being transported by the Appellants and in support thereof, copy of CA Certificate dated 25.09.2017 and Draft Red Herring prospectus dated 27.09.2017 is enclosed. 15. In view of the above, the cash carry vans are used for transportation of goods as the currency being transported is not covered under the definition of ‘money’ and since the motor vehicle converted into the cash carry vans are used for transportation of goods, input tax credit of tax paid is admissible going by the exclusion from the bar on availability of input tax credit as stipulated under Section 17(5)(a)(ii) of CGST Act. 16. Section 2 of the CGST Act assigning meanings to various terms used under CGST Act begins with the expression “In this act, unless context otherwise requires”. Normally, the term ‘means’ makes the definition exhaustive one but such exhaustive definition has to be departed from if the definition section opens with the word “unless context otherwise requires” if there be something in the context to show that the definition could not be applied. 17. In the present case, the context in which the cash carry vans are used for transportation of currency is that the goods of the customer banks are transported by the Appellant and not the money as defined under Section 2 (75) of the CGST Act as the said currency cannot be used as money as understood in the common parlance. Further, the intention of the legislature in excluding money from the definition of “goods” is not to levy CGST on supply of money as otherwise CGST is leviable on supplies of intra- state supply of goods. that the currency transported by the cash carry van is “goods”. 20. Notification No. 2/2017 Central tax (Rate) dated 28th June 2017 at Sr. No. 117 provides full exemption for Rupee notes when sold to Reserve Bank of India falling under chapter/heading 48/4907 would also substantiate the Appellants’ claim that currency is covered under “goods”. 21. The certificate of registration and also certificate of fitness issued by the Motor Vehicle Department of Govt. of Maharashtra certifying cash carrying vans to be a ‘goods carrier’ and ‘goods vehicle’ also support the Appellant stand. 22. From the certificate of registration, certificate of fitness issued under Motor Vehicle Act and after considering the meaning assigned to the ‘goods’ under Section 2(13), “goods carriage” under Section 2(14) and “transport vehicle” under Section 2(47) of the Motor Vehicles Act, it is clear that the cash carry vans are used for transportation of goods. Hence, Revenue authorities cannot take a different view under GST. 23. It is further submitted that the Appellant are carrying out the business as defined in Section 2(17) of the CGST Act and without currency being transported by the Appellant could not have rendered supply of business support service on which GST it paid. Hence denial of input tax credit of tax paid on motor vehicle converted into cash carry van is incorrect. 25. The Applicant refers to the view expressed by both the Hon’ble Members to the effect that there is no issue of admissibility when the vehicle is carrying bullion. In the present case vehicle is capital goods under Section 2 (19) and hence even if it is used in stray cases in transportation of bullion input tax credit is admissible as there is no bar from taking credit and in any case, the Appellant are not making any exempt supplies. 26. With the above submission and those made in their applications and additional submissions, it is humbly prayed for holding that Appellant are eligible and entitled for input tax credit of GST paid by them to vehicle manufacturers for supply of standard vehicles and GST paid on the fabrication. The Appellate Authority for Advance Ruling may also be pleased to hold cash carry vans would be covered under exclusion clause of 17(5)(a)(ii) of CGST. 28. The applicant is engaged in the services of transportation of cash. The cash carrying vans cannot be treated merely as transport vehicles, carrying the goods as claimed by the appellant, as it is a special purpose vehicle which is deployed to collect the currency under the security guards with arms and with 2 supervisors as per the Guidelines of Reserve Bank of India letter dated 06th April, 2018. 29. The appellant transports and manages “the money” which is different from ‘goods’ even in the eyes of the banking industry and RBI. It is because of this reason that the RBI has prescribed special safeguards specifically for “the money”. The fact that these safeguards are prescribed by the RBI are not applicable to goods clearly establishes that RBI considers the money as different from goods. Similarly, in the ever of the banking industry also the money is not goods. Therefore, in the context of the situation in which the appellant is working, ‘money’ cannot be considered as ‘goods’. Accordingly, only because the definition of ‘goods’ under the CGST Act, 2017, contains the phrase “unless the context otherwise require” does not mean that, the context of the appellant requires a definition of goods is different from one as prescribed in the CGST Act,2017. 30. The appellant contention that provision of Motor Vehicle Act and the exclusion of money from the scope of e-Way bill should take precedence over the provisions of the CGST Act, 2017, has been made without having any rational or basis. It is emphasized that the CGST Act has provided an unambiguous and clear definition of ‘goods’. Therefore, there is no need for resorting to the provisions of Motor Vehicle Act for looking for the meaning of ‘goods’. Further, the exclusion of the ‘money’ from the scope of the e- way bill has no bearing on the definition of the ‘goods’ provided in the CGST Act. The contention of the appellant in this regard is bereft of any merit, hence not sustainable. 31. Accordingly, they have prayed that the application filed by the Applicant be rejected by the appellate authority. 32. A personal Hearing in the matter was conducted 19.07.2018, when Smt. Manasi Patil, Advocate, appearing on behalf of the Appellant, reiterated their written submissions. She further deposed that they were lawfully eligible and entitled for input tax credit of the GST paid on standard motor vehicle and also the GST paid on the fabrication of the vehicles to suit the need for cash carrying vehicle in light of provision under Section 17(5)(a)(ii) read with Section 2(52) and Section 2(75) of CGST Act. Reliance was also placed upon the definition of the “goods” and “goods carriage” provided in the Maharashtra Motor Vehicles Act to justify their claim of transportation of “money” as the transportation of “goods”. Further to substantiate their claim, they also cited court rulings. 33. Countering the arguments made by the Appellant, Shri Anil Kumar, Supdt., the Departmental Representative, inter alia, stressed on the definition of ‘goods’ provided under Section 2(52) of the CGST Act, arguing that the definition of the ‘goods’ provided in the statute clearly excludes money from its purview, and under no circumstances can be treated as goods. To corroborate their claim, he argued that the cash carry van used for transporting money is not an ordinary vehicle, but a special purpose vehicle, which is deployed for transport of the currency under the supervision of the security guards carrying arms with them and 2 other supervisors as per the guidelines prescribed by the Reserve Bank of India dated 06.04.2018. Thus the money transported by the said special purpose vans, is different from ‘goods’ defined under the GST law, since the above said safeguards prescribed by the RBI for the transportation of cash are not applicable on other ‘goods’. 34. On going through all the relevant case records, oral & written submissions made by the Appellant and the Respondent, we find that the issue before us is to determine whether the money being transported by the Appellant in the cash carry vans is “goods” or otherwise for the purposes of availing Input Tax Credit under the GST law. 35. For this purpose, we observe from a plain reading of the definition of the ‘goods’ provided in the Section 2(52) of the CGST Act, 2017, that the very first line of the definition, i.e., ‘goods’ means every kind of movable property other than money/ clearly excludes money from the purview of goods under the GST law. Now, coming to the definition of money under the Section 2(75) of the CGST Act, 2017, we find that “money” means the Indian legal tender……………… but shall not include any currency that is held for its numismatic value. Since the cash carry vehicles are deployed to carry cash and bullion for other than for numismatic purposes, the cash carried by them is to be construed as money and not goods. Recommendations made during the 28th meeting of the GST Council held in New Delhi on 21st July, 2018 Amendments to the CGST Act, 2017, IGST Act, 2017, UTGST Act 2017, and GST (Compensation to States) Act, 2017.
e. Goods or services which are obligatory for an employer to provide to its employees, under any law for the time being in force …………………….. This new fact, which has come before us during the course of deciding the instant issue, also needs to be considered solemnly, before concluding our observation in the present case. The fact that the GST Council, the recommendation of which body forms the basis for formulation of the legislature related to GST, has felt the need for widening the scope of ITC by allowing the ITC in respect of motor vehicles used for transportation of money for or by a banking company or financial institution, which were previously not available to them, clearly shows that the intention of the legislature was earlier to not treat ‘money’ as ‘goods’, as defined under Section 2(52) of the CGST Act. Now the GST Council have recommended to the Government to lay before the legislature an amendment in the provision which will extend the benefit of ITC in respect of the motor vehicles, used for transportation of money for or by a banking company or financial institution. Thus, this proposed amendment recommended by the GST Council during its 28th meeting, further strengthens our findings above that money being transported by the Appellant in the cash carry van is certainly not “goods” as is being claimed by the Appellant. In fact, given the collective mind of the GST Council on the subject, the argument stands clinched in favour of the Respondents. Here the Hon’ble Supreme Court had held that the Appellant cannot be bereft of the earlier benefits which were already available to them prior to the amendment in the definition of the “goods” under the Central Sales Tax Act, 1956 and hence interpreted that “goods” occurring for the fourth time in the latter half of the clause (b) of Section 8(3) of the Central Sales Tax Act, 1956 will include the “newspaper” even after the amendment of the said act in order to extend the benefit of the concessional rate of Central Sales Tax payable by the publishers on the inter-state purchase of raw materials under the notion that the Appellant cannot be in more unfavorable position as the intention of the legislature was not to increase the tax burden on the printers or publishers of the newspaper. Thus, it has been argued that the Supreme Court had deviated from the plain or literal meaning of the amended definition of the “goods” under the Central Sales Tax Act and has gone on to extract the meaning of the expression of “goods” by following the Golden Rule of interpretation as the literal meaning was leading to the unintended result and absurdity. However, in the instant case, neither had there been any amendment in the GST law nor were there any benefits continuing to the Appellant, which they would be bereft of if the expression “goods” be interpreted by the literal meaning of the definition provided under GST Act, for this is not leading to the any unintended result or absurdity as such. The definitions provided under the GST law are clear enough, as we have already seen. Thus, the current context does not warrant that the definition be construed otherwise or in a different manner. b) Further, the Appellant’s contentions that the definitions provided under Section 2 of the CGST Act starts with the clause “unless the context otherwise requires”, and that the facts of the case call for a different interpretation of the meaning of the “goods” provided under Clause 52 of the Section 2 of the CGST Act, 2017 for the reason that money being transported in the cash carry vans is actually goods and not the money on account of the arguments made in the para 16 above, is also devoid of any merit. The context, as we have already seen above, does not warrant any different interpretation of the meaning of goods. c) Thomas Cook (India) Ltd. Vs. Collector of Customs, New Delhi [1994(71) E.L.T. 724 (Tri)]. The cited case is related to the confiscation of the foreign currency exported by post parcels in violation of the provisions and rules prescribed under Customs Act, 1962 and Foreign Exchange Regulation Act, 1973. In the instant case, the money, which has been clearly defined in the CGST Act, is being transported by the Appellant at the behest of the Banks under the contracts entered with them. Further, “goods” has also been defined in the CGST Act, which clearly excludes money from its ambit, Thus, it is very much clear that the things which are being transported by the Appellant is “money” which cannot be treated as “goods” as explained above. Therefore, in the instant case, there is no need to derive the interpretation of the “goods” from the Customs Act or Foreign Exchange Regulation Act, when the same is clearly defined under the CGST Act. Thus, the ratio of this judgment also cannot be applied in the instant case by virtue of entirely different facts and circumstances. d) Anyanwu Marteena Uchechi [ 2015(329) E.L.T. 750 (GOI)]. It is observed that the above said case involved refund of the seized foreign currency after adjustment of redemption fine and penalty from the seized amount , which is entirely different from the facts and circumstances of the instant case, which involves the determination of the money as goods or otherwise under the light of CGST law and its provisions. Hence, the said citation is not relevant for deciding the present case. f) As regards the reliance placed by the Appellant on Rule 138(14) which carves out goods the transportation of which would not require the preparation of e-way bill, we agree with the view of the Jurisdictional Officer that the exclusion of the ‘money’ from the scope of the e- way bill has no bearing on the definition of the ‘goods’ provided in the CGST Act and the same should not prevail over the provisions laid down in Act. g) As regards Notification No. 2/2017 Central tax (Rate) dated 28th June 2017, wherein full exemption has been provided to Rupee notes, placed at Sr. No. 117 and falling under chapter/heading 48/4907, when sold to Reserve Bank of India, it is noticed that the said exemption has been provided to the Rupee notes on which printing is done by RBI to convert them into currency and not the printed currency per se. Thus, this notification, relied upon by the Appellant, does not support their argument and their claims either. h) The argument of the Appellant that, although in general understanding, what is being transported by the appellants is currency or cash or money, from the Appellant’s point of view or for the appellant, what is transported is ‘goods’ and not ‘money’, does not support their cause, as the definitions provided in Acts are universal and same cannot be interpreted for suiting the requirement of any individual as claimed by the Appellant. If ‘Money’ is not covered as ‘Goods’ in the definition of ‘Goods’ under CGST Act, then it is not ‘goods’ for everyone and it cannot be said that it is not ‘goods’ for general perception and it is ‘goods’ for the Appellant. In view of the above we hold that, as the law now stands, Input Tax Credit is not available to CMS Info Systems Limited on purchase of motor vehicles i.e. cash carry vans, which are purchased and used for cash management business and supplied post usage as scrap. Accordingly, the issue referred before the appellate authority is decided in terms of the above order.